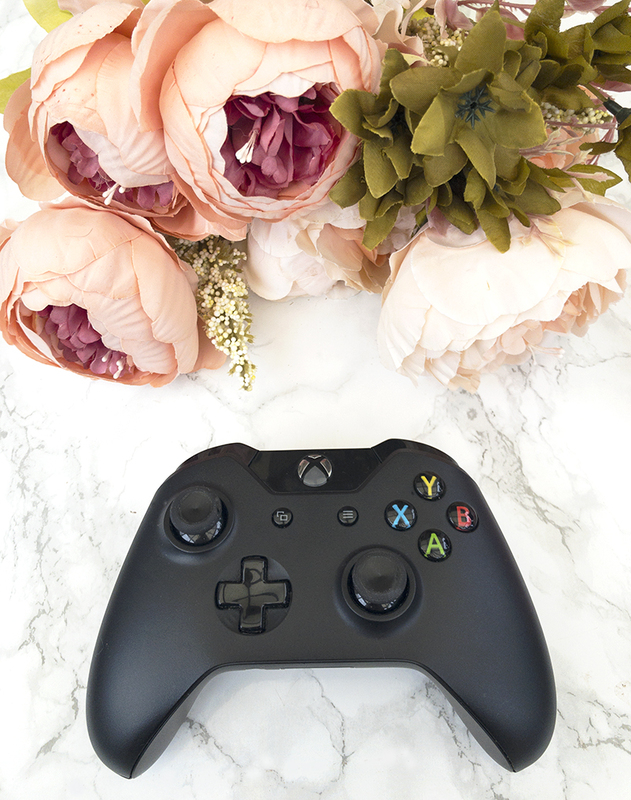 Girly Gaming // My Favourite Games Of 2017! Hello, loves! Today's post is going to be a little different, and I'm very excited for it. A while back, I mentioned that I wanted to experiment with my content a little, and talk about things that are not only beauty-related. One of the things I really enjoy - but don't ever really mention on my blog - is gaming. I'm actually a huge nerd and always have been, but I would always assume that talking about games wouldn't really fit in with the overall 'beauty' theme of Shoes and Glitter. Still, I am excited to try something new, and if you lovelies enjoy it as well, it might turn into a proper blog series. Today, I will be sharing with you some of my favourite, addictive games that I loved playing in 2017. Fair warning - excessive geekery is about to commence! I'm sure that many of you lovelies are already fans of The Sims series, or have played it at least once at one point or another. I have been there since the very first The Sims release 18 years ago (my cunning, 8-year old self would befriend someone in class just because I knew they had the latest The Sims expansion that I could play at their house! ); and I have played every single The Sims game since. The Sims 3 is probably the best one and also the most popular, but I've been loving The Sims 4 and have clocked endless hours on it. The emotions system is fun (your sims get 'moodlets' which affect their actions and choices), and I like how sims are finally capable of multitasking - no more waiting around to put down a glass just to be able to say hello to another sim! There are countless ways in which you can play The Sims 4 - personally, I've been trying to stick to the same family for multiple generations. The above screenshot is from my main two sims' wedding day! This is probably one of the most relaxing, casual farming games that I have ever played. Yes, the graphics are simple, but they still have a certain charm which fits in with the overall atmosphere of the game. 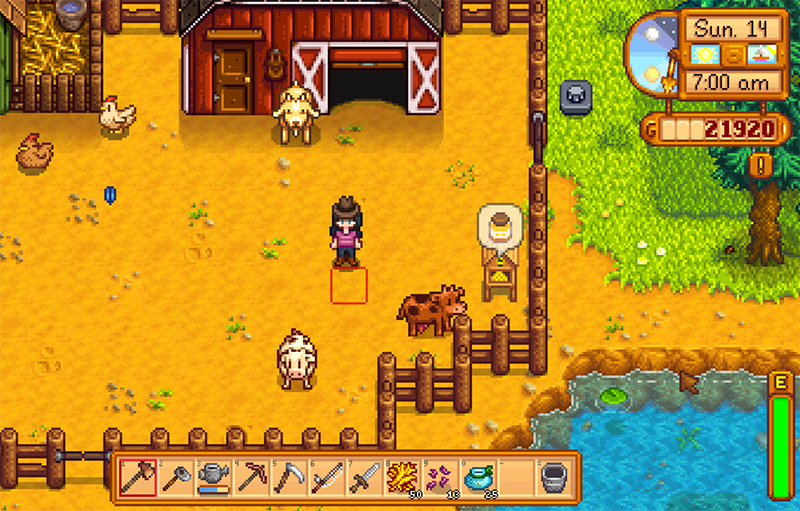 Stardew Valley plays similarly to titles like Harvest Moon, although it's much more laid-back and casual, with some really lovely, soothing background music (even my boyfriend commented on how lovely the soundtrack was when I was playing this, and he is definitely not the farming game type!). You can plant and harvest crops, look after animals, explore dungeons, expand your farm and make friendships with the townsfolk - it's a simple, but detailed and charming world that's very easy to get lost in. 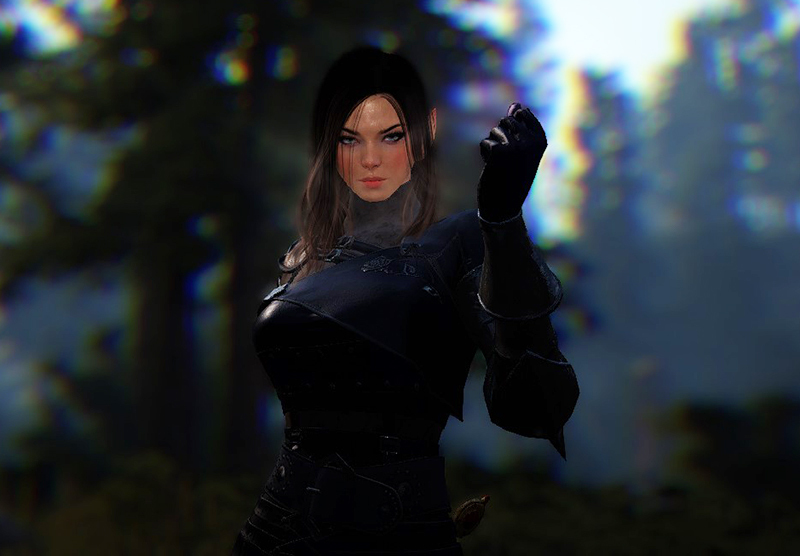 Black Desert Online is a fairly recent MMO that got my attention mostly because of the beautiful, detailed graphics. The character creation system is also the best I've seen to date - the level of depth and control you get over the look of your character is insane. You can change anything from the length of the eyelashes to the size of the feet, and adjust pretty much every bone in the face. I spent about fifty hours just creating various characters! Aside from that, the game is pretty fun, although the graphics and the character creation are definitely the main strengths. Black Desert Online follows a fairly standard fantasy MMORPG model, where you can hunt monsters and huge bosses, fight with friends or in a guild to siege region castles, as well as train your life skills such as cooking, trading, crafting and fishing. It's an entertaining, lovely to look at game that's great if you're after some laid-back fun. I absolutely love all Pokemon games, and after bawling my eyes out during the main story of the Mystery Dungeon - Explorers of Sky (it was just too cute to handle), I was excited to try out this title. As in previous Mystery Dungeon games, you play a human who's been transformed into a Pokemon, having lost all your memories and living in a world inhabited only by Pokemon. You get to explore endless dungeons alongside your partner Pokemon, and embark on a long quest to save the Pokemon world. It is honestly such a cute game, and I think that the main story is definitely the main strength of the whole series. It is just so engaging, interesting and thoroughly adorable, plus you get to meet all 720 Pokemon and you most of them can eventually join your dungeon exploration team. Since we're talking about Pokemon games, I have to include Pokemon Sun in this list (Nintendo 3DS only). Pokemon Sun is a classic, catch-them-all Pokemon game that's set in the Alola region, featuring the 7th generation Pokemon. 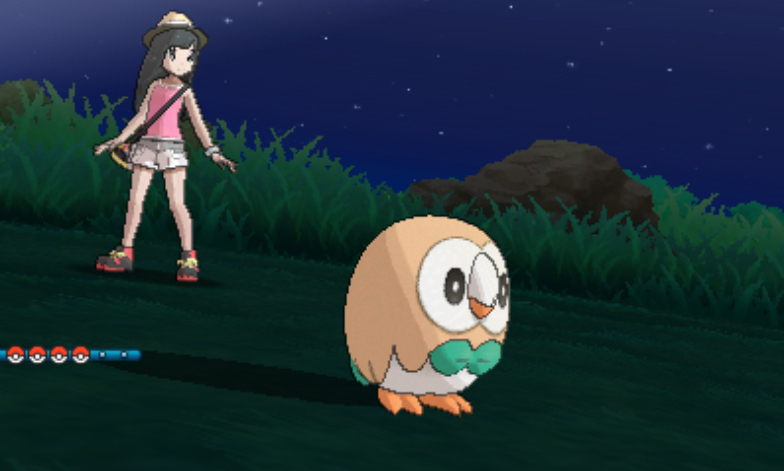 Following in the tradition of all previous, classic Pokemon games, you get to choose one of three Pokemon to be your first partner (I went for Rowlet, screenshot above), and then embark on the adventure to catch all 300 Pokemon. I've only started playing this recently so I'm not very far through the game yet, but I've been absolutely loving it so far. 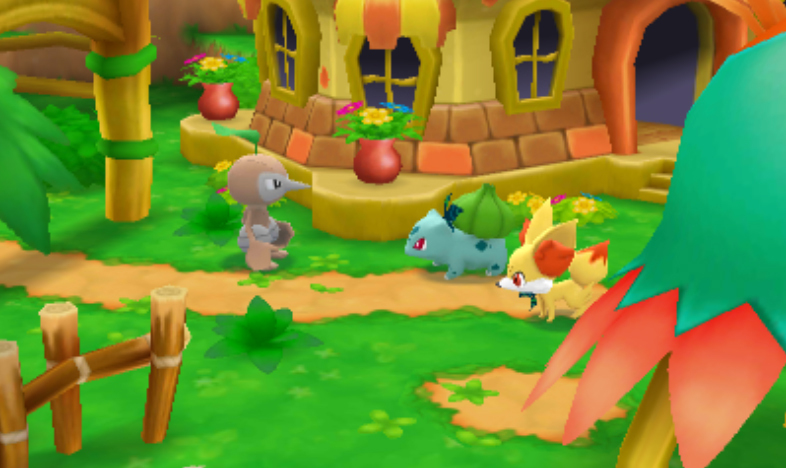 It feels like a breath of fresh air compared to the old, classic 2D Pokemon games; with updated graphics, animations and also an adorable care system where you get to feed and look after each one of your Pokemon. Last, but definitely not least, we have another heavy-hitter MMO - TERA Online. This is an incredibly fun, fast-paced game with great graphics (very colourful and almost anime-style), and a unique combat system. It's more of an action game than a standard fantasy game, with tactical combat that makes it much more interesting. The world is incredibly detailed; with vibrant, wallpaper-worthy landscapes. Sometimes, I like to just run around different zones taking screenshots, because of how pretty everything looks! TERA Online also has a very active community, with constant updates and new content to keep the game fresh. I would say that the story is definitely one of the weaker points of this game, but to be honest, it's not trying to be much and doesn't take itself too seriously. It's just an entertaining, fairly casual game that's great if you're after some mindless fun! Hope you enjoyed this slightly different post, my loves! Let me know if you're interested in more geeky, game-related content. I could talk about this stuff for days! Are you a gamer yourself? What games have you been enjoying recently? Also, don't forget to enter my Anastasia Beverly Hills Sugar Glow Kit palette giveaway here!